Discussion in 'Pin Zaps & Swaps' started by timeerkat, Nov 8, 2018. I came across Snoffsan's candy swap a bit too late, since she had a limit to how many people she could send to and her spots filled up. But another member, @Kerri780 , volunteered to swap as well. After a few emails back and forth to go over likes/dislikes, our packages were on their way. Shortly afterward, my haul arrived! And she sent so much stuff that she actually had to send it in *two* separate packages! Behold my bounty! There is seriously so much in here that even after eating at least one piece a day, I have a sizeable amount left. 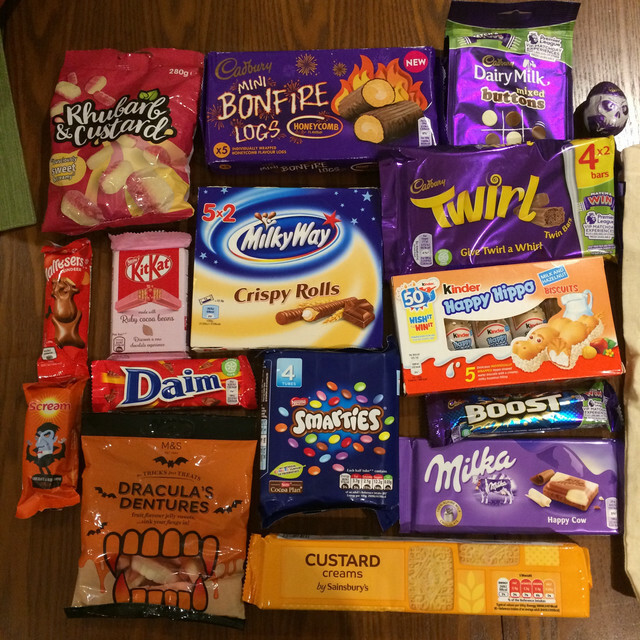 She sent an amazing assortment of candy I've tried before and love (Happy Cow bar, Happy Hippos, Maltesers, Dairy Milk Buttons, Cadbury Creme Egg) and stuff I've never tried but looks amazing (pretty much everything else). She added in my specific request (Smarties, and she sent a four-pack! ), and she was even able to find VEGETARIAN GUMMIES! It's been forever since I've had gummy candy, since pretty much everything I can find here is made with gelatin. 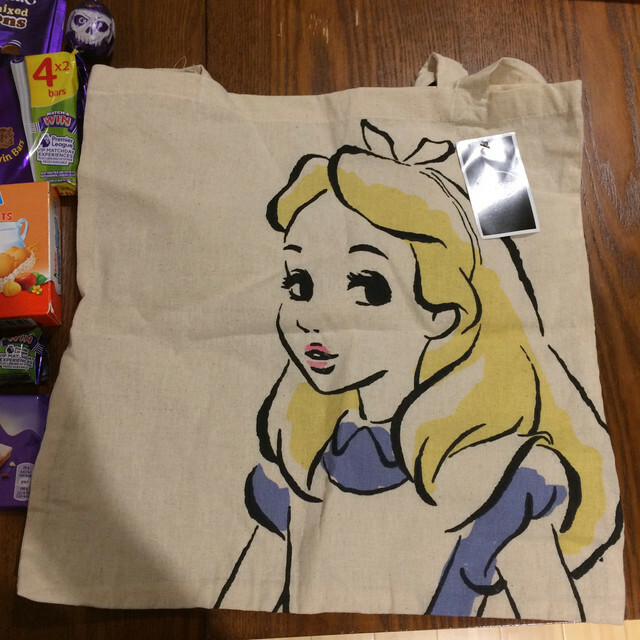 On top of the wonderful piles of sugar, she also included a zap of this gorgeous Alice tote bag. Thank you for a wonderful swap experience, Kerri! PixiePost, TammyH, Booger1964 and 6 others like this. Damn dude. I wanted to candy swap so bad, that's amazing congrats!! Okie doke, I'll bring some along for you. Romancing train, I would be up for swapping again soon but I have a a trip to Lithuania the end of November and DLP the week after so I need to save (I was surprised how much shipping was!) but maybe after Christmas? The mail is going to get super slow here in the coming weeks and its not really in my budget to swap before I go away. Wow! That is awesome. I would love to try a few of those things. Wow that a ot of cool candy! So happy you got to swap some candy even though I couldnt take on any more swaps. So many delicious candies!! Congrats! Oooh I see so many things I like!! Yum!! I prefer Cadbury and Milka over the typical American chocolate, so this box has been making me very happy! Now that is a lot of self-control! I'm afraid I would be more like one box/item a day! ha! I love several things in that photo, I am most curious about the adorable logs, and those rhubarb things! There's some really fun stuff in there. Enjoy!